How Do I Set Up Email on My Android Device running 8.0.0 Oreo? Note: These instructions are to set up your email only. This article was created using a Samsung Galaxy S8 running Android 8.0.0—Oreo. The steps should be similar for other Android devices. If the instructions are not exact for your device, then we recommend that you use the settings and follow the on screen prompts to set up your device or contact your service provider for assistance. 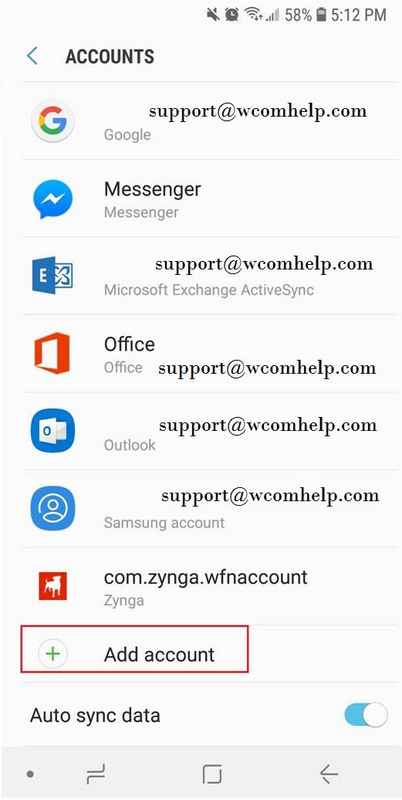 Follow the steps below to set up email on your Android device. 1. Tap the Settings icon. 2. Tap Cloud and accounts. 3. From the Cloud and accounts panel, tap Accounts. 4. From the Accounts panel, tap Add account. 5. From the Add account panel, tap Email. 6. Enter your sign-in details, which is the Email Address of the account you are setting up and the Password for that mailbox. The password was set up during the mailbox creation process. Tap Manual Setup to continue the setup process. 7. Select the Account type that you would like to create—either POP3 or IMAP. Reference the following table to enter the necessary Incoming server settings. Email address Enter the full email address that you are setting up. User name Enter the full email address of the email box that you are currently setting up. Port 110 if using POP3. 8. Reference the table below to enter the necessary Outgoing server settings and tap Sign in when finished. Username Enter the full email address of the email box that you are currently setting up. Note: The image above assumes an IMAP setup. If you are setting up POP3, you will be presented with a different option in place of the IMAP path prefix (see below). For POP3 Setup Only: Select whether you would like to delete email from the server When deleted from Inbox of your phone, or Never. Then tap Next. 9. Customize your Account options to your desired settings and tap Next to follow through the prompts. Your email account has been added. 10. Enter an Account Name that will show when you access the account on your device, then enter Your Name, which is what will be displayed in the From field on a message when the recipient reads the email. Your email account has been set up. You can now click the Mail App Icon to start using your mail.